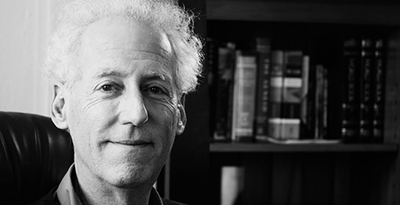 Dan Schiller is an emeritus professor of library and information science and of communication. The Federal Communications Commission voted on Feb. 26 to regulate broadband Internet service as a public utility. The "net neutrality" rules aim to ensure open Internet access. 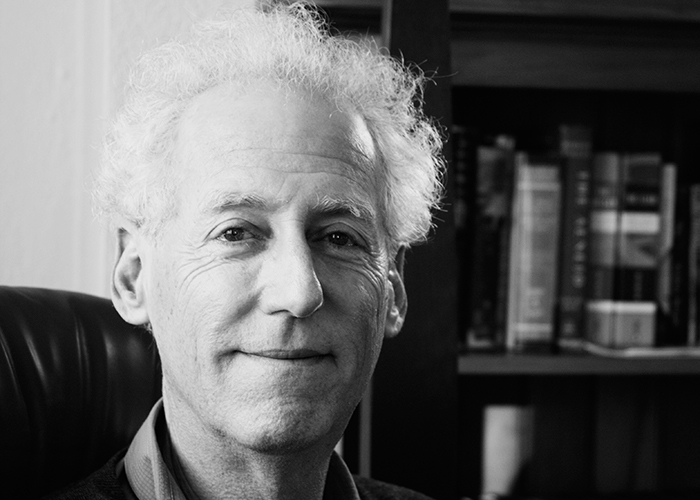 Dan Schiller, an emeritus professor of library and information science and communication at the University of Illinois, talked with News Bureau arts and humanities editor Jodi Heckel about the decision and its historical context. What is the rationale for treating the Internet as a utility? Some industries perform such a widely essential function that a referee is needed to ensure that they live up to their "duty to serve" - neither discriminating against nor gouging their users. This special status, and the legal and regulatory oversight that derives from it, mark them as public utilities. Public utility industries possess a longstanding legal pedigree, which has been repeatedly renewed so as to cover successive new technologies of transportation and communications - notably, the railroad and the telegraph during the late 19th century. Interstate telecommunications service providers only gained meaningful oversight in 1934, however, with the establishment of the Federal Communications Commission. Congress ordered the new FCC, as its very first order of business, to undertake a comprehensive investigation of what was then the nation's largest network operator - and the world's largest corporation - the American Telephone and Telegraph Company. The purpose of this unprecedented inquiry, which at its height saw 200 FCC accountants, lawyers, engineers and researchers combing through AT&T's corporate records, was to clarify what additional public responsibilities needed to be imposed on the carrier. The corporate power of this single company was such that only the federal government was capable of vesting it with a genuine duty to serve the American people. This point remains vital. Because the telecommunications network constitutes the essential infrastructure for the circulation of ideas - whether as Morse code dots and dashes, voice conversations or streams of computer data - the companies that operate this infrastructure bear an enormous public responsibility. The terms on which information flows throughout society are too important to be left to a small group of gigantic, financially self-interested, corporations - at least in a democratic society. Their corporate power over the circulation of ideas means that they must be made, and kept, publicly accountable. But Internet service has not been regulated in this way before. Under then-President Richard Nixon, the FCC lifted fledgling computer communications services out of the public utility category during the early 1970s. The same exemption was made for Internet service as it developed, and after the Web exploded on the scene during the early-to-mid 1990s. The Internet went on to become, irrefutably, an essential service throughout daily life, and for the conduct of commerce and politics. The Internet also is used today by many more subscribers, proportionately, than was the telephone when the telephone was made subject to public utility regulation. How will the regulation of Internet and mobile data service differ from that originally imposed on telephone service under the Communications Act? The short answer is that nobody knows yet. When the majority of Federal Communications Commissioners voted to treat broadband Internet service under the rules for telecommunications carriers on Feb. 26, they also stated that they would forbear from exercising some of the powers that they possess under the relevant section of the Communications Act. However, until the FCC publicly releases its decision - which will probably happen in the next few weeks - we won't know exactly what responsibilities the Commission has mandated. Challenges to the FCC's decision also are likely - through the courts and/or through Congress - and these might alter the outcome. But a reciprocal point needs to be added. Just as Congress told the FCC to study whether it needed to amplify and extend its regulatory oversight in 1934, today we must consider whether substantial regulation needs to be imposed on giant Internet companies like Google, Facebook, Amazon and Apple. It is arguable that they, in addition to the broadband Internet service providers, wield concentrated corporate power over Internet system development. And there is no doubt that both the proprietary algorithms that structure their services and the tight interlocks they have forged with intelligence agencies require more meaningful public oversight and accountability - in the interest both of privacy protection and democratic self-government. What changes, if any, will consumers notice once the rules are in place? Consumers will be able to be more confident than before that the applications and services they access through the Internet will not be degraded - "throttled" - as a result of the cable and telecom companies' self-interest, or of the secretive commercial agreements they may sign with large Internet companies. Consumers will also be able to gain greater understanding of policy conflicts in this area, because regulatory oversight signifies that greater publicity will be accorded to them. What would be the potential consequences if cable companies and other providers continued to control, without regulation, how content comes to customers? It is a near-certainty that age-old fears about discrimination will be borne out. We don't have to look far afield for evidence. The retransmission blackouts and near-blackouts of the past twenty years or so give us good reason to believe that consumers might be held hostage to maneuverings for commercial advantage by big Internet companies. What is your reaction to the argument that regulating Internet and mobile data service will deter investment and undermine innovation in the market? This is a specious argument. After the 1934 Communications Act imposed meaningful regulation on AT&T, both its scale of investment and its role in pioneering innovations actually accelerated. It's often forgotten that, between the 1940s and the 1970s, the old, regulated AT&T spearheaded the innovation of the transistor, satellites, mobile phones and fiber optics. This was also, not coincidentally, the period during which near-universal access to telephone service came to be enjoyed by U.S. households.